The Multi Grip Crossmember is the athlete's answer to variance. The wide-neutral grip is perfect for pull ups targeting the mobility and strength of the upper back and serratus region. The narrow-neutral grip can simulate the false-grip muscle up position that can always use work. Dead hang and gymnastic kipping pull ups can be done with the traditional grip. The option to change your hand position without changing your equipment is ready for your rack. 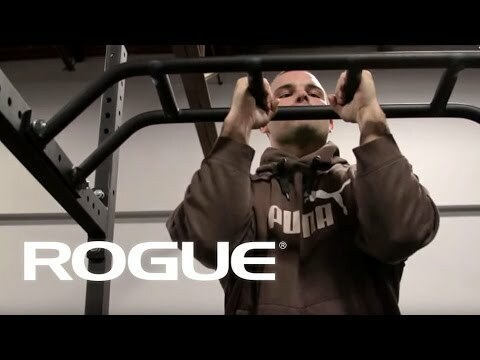 The Multi Grip Crossmember is designed to work with the R-3, R-4,and R-6 racks. Grip Width Spacing: 8", 16" or 24"
X-43M Multi Grip Crossmember is rated 4.9 out of 5 by 22. Rated 5 out of 5 by Bearinthewoods from Folding rack compatible! I just finished installing my RML-3W, and since I only plan to fold it when I have to, decided to bolt this baby on for super extra fun happy time. Easy install, and, as a bonus, adds some extra stability to the rack. Pretty sure I’m about three weeks out from growing my lats into wings and achieving self-propelled human flight. Rated 4 out of 5 by Johnny5 from Good quality, ok bar spacing Got this for my rack and was happy with the quality as usual but the bar spacing was less than ideal for me. I normally use the outer bars rather than the natural grip bars for my pull ups. I will say that I like the additional height that gives over the standard pull up bar the comes with the rack. I am 6'3" so higher is always better. Rated 5 out of 5 by Haole from Great addition to the rack! The bar is easy to install and great addition to the rack! Rated 4 out of 5 by Those from Great product, should ship with matching hardware I’d prefer if accesories for monster-lite racks had matching black hardware, I hid my stainless hardware as underneath as possible, but it’d be an obvious 5 star if it had matching hardware. Rated 5 out of 5 by Cameron Barratt from Great Product. Love it! Pretty simply put, this well worth the money, and should be apart of all racks. Perfectly made, feels awesome in the hands. Well done Rogue. I think a 2" option would be a great idea too!! Rated 5 out of 5 by Rudolf from Covers all my needs . I am 62 years old and pull ups are my favorite exercise. This multi grip bar gives me lots variation for my work out . Great investment. Rated 5 out of 5 by Victor Lawson from essential upgrade Such a great upgrade to a Rogue power rack. I ordered one in addition to the standard fat/skinny bar that came with my Infinity R3 BT rack. It's awesome. 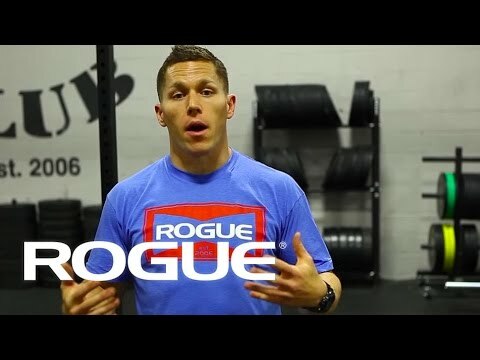 Perfect height for me (6' with a 6'2" wingspan) to do pullups with no problem touching the ground...and with no problem reaching the bar without hopping. have not tried kipping yet...shoulder injury... The multitude of grips are great, neutral grip is great for my bum shoulder. On a R3 BT 30" model Power Rack, there is enough room to do pullups on either side, when mounted to the forward most holes, when there is a fat/skinny bar as a cross member on the back (see attached pic)...barely. My GF uses the regular fat/skinny which is lower in height, and I use the X-43M on the front, with no issues I don't think this would work on a reg 24" R3...the space may be too narrow?